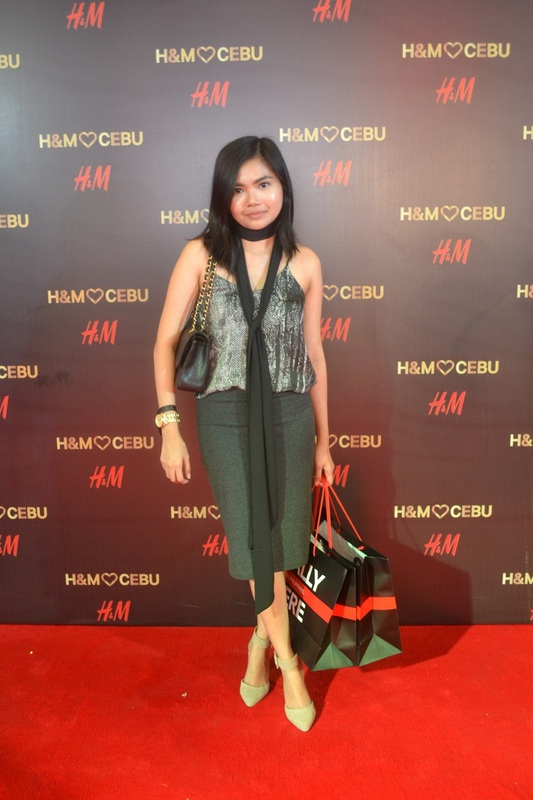 After much anticipation since it announced plans to expand into the southern part of the Philippines earlier this year, H&M is finally opening its first store in Cebu tomorrow, November 27th, at the ground floor of Ayala Centre. The wait surely is worth it as they're not only bringing three floors of fashion heaven to Cebu, but it's their biggest store in the Philippines to date. 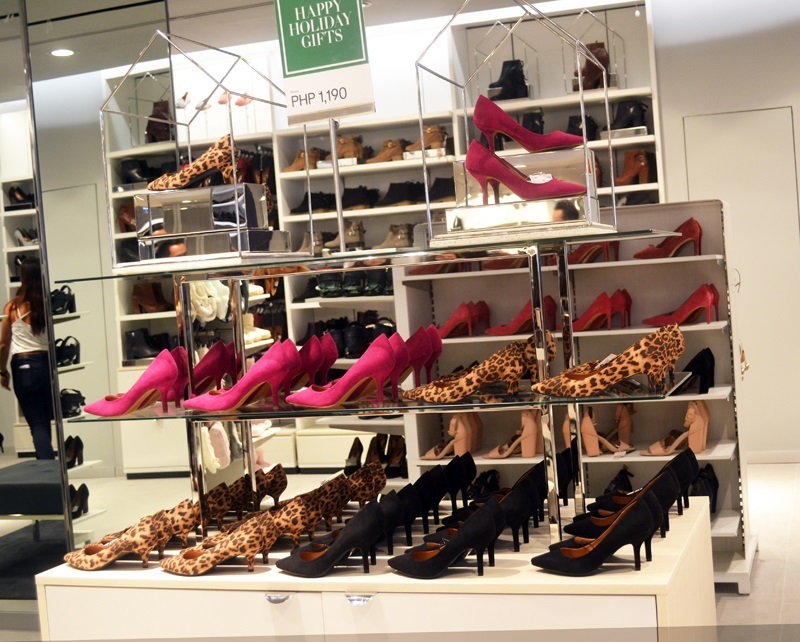 H&M Ayala Centre is a full concept store, carrying ladies wear, menswear, kids and HOME. It will open featuring the brand’s stylish holiday campaign and will showcase an exciting selection of gifts and fashion for the season. 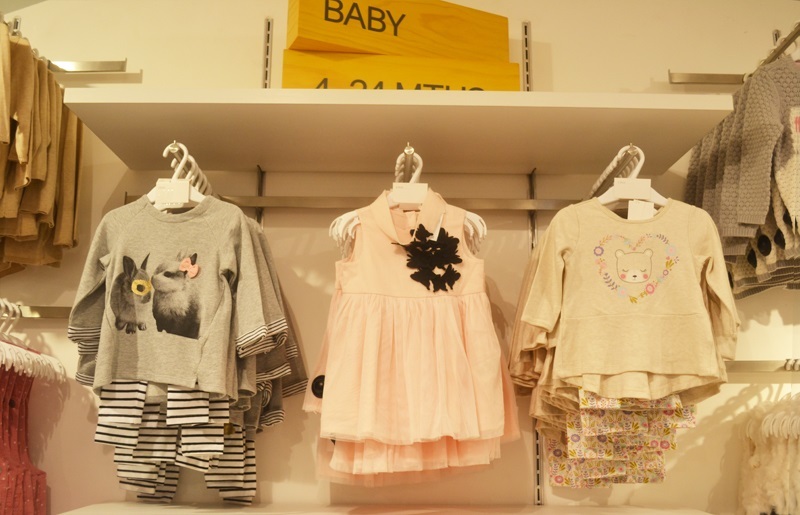 The brand will also continue to feature its Garment Collecting initiative, where customers can donate their used clothes and get a discount voucher to use for their next purchase at the store. I was invited to the VIP Preview and Shopping Party yesterday and it really was a glam night of Fashion and Music as DJs Mars Miranda, Tom Taus and Divine Maitland-Smith kickstarted the bash with their signature sounds and mixes. A bit later on, the crowd got on their feet as Ely Buendia and his band, Pupil, collaborated with Domino for a fun set. 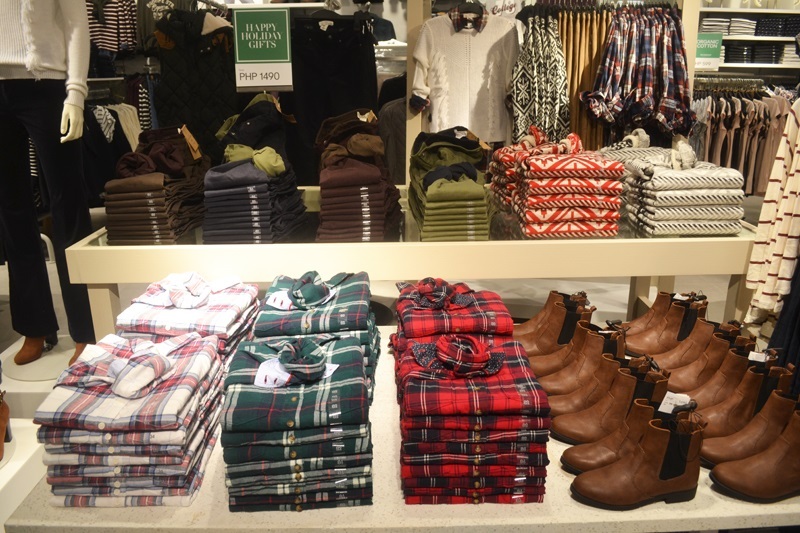 Ladies, feast your eyes on two floors of trendy women's fashion. With the holidays around the corner, now's the best time to stock up on festive plaids, gorgeous holiday dresses and stylish separates. They also have a nice selection of lingerie and sleepwear garments. 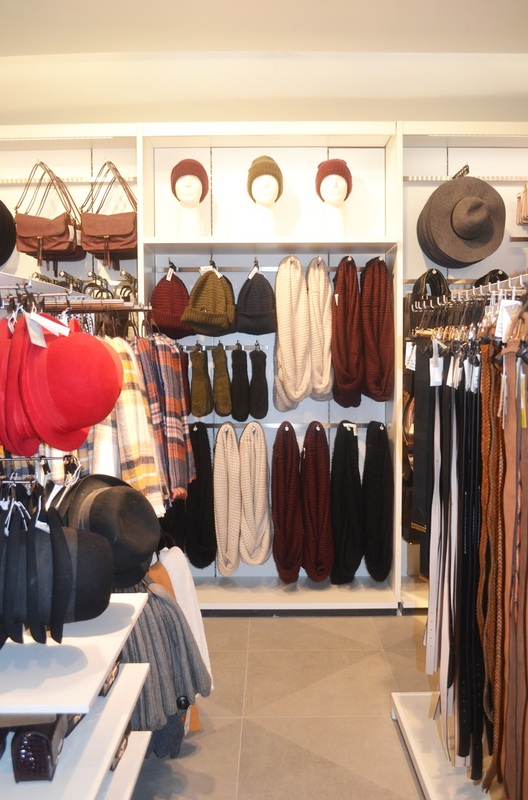 If you're planning a trip abroad soon, you might want to drop by their Accessory Department. They've got a wide variety of scarves, beanies, woolen gloves, faux fur neck wraps, and more to keep you warm and looking stylish while traveling. 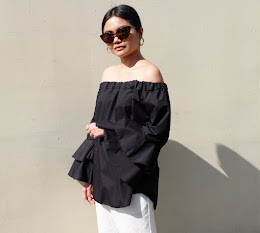 And if you're just as obsessed with accessories as I am, you will definitely enjoy browsing through racks and racks of statement earrings, bejeweled necklaces, bangles and cocktail rings. No look is complete without a chic pair of shoes. We're spoilt for choice as there are so many styles to choose from. 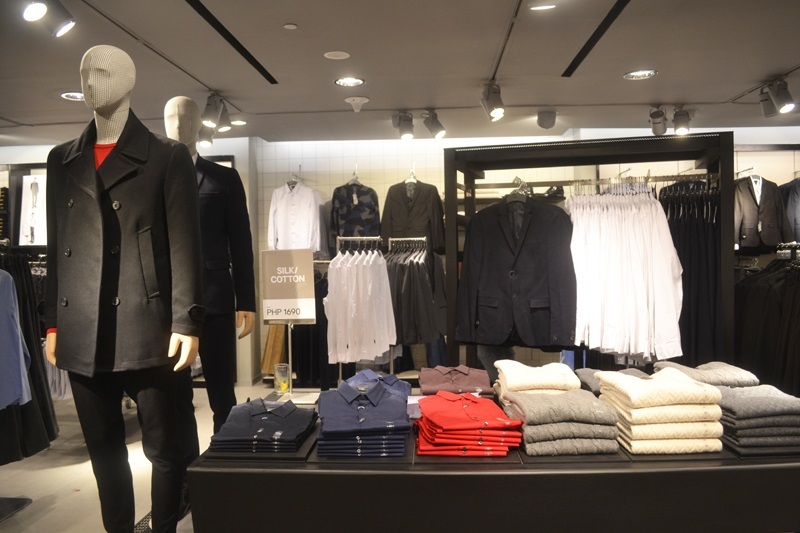 Up on the 3rd floor is the Men's section where you can find everything from dress shirts to casual tees, denim jeans, jumpers, business suits and coats. 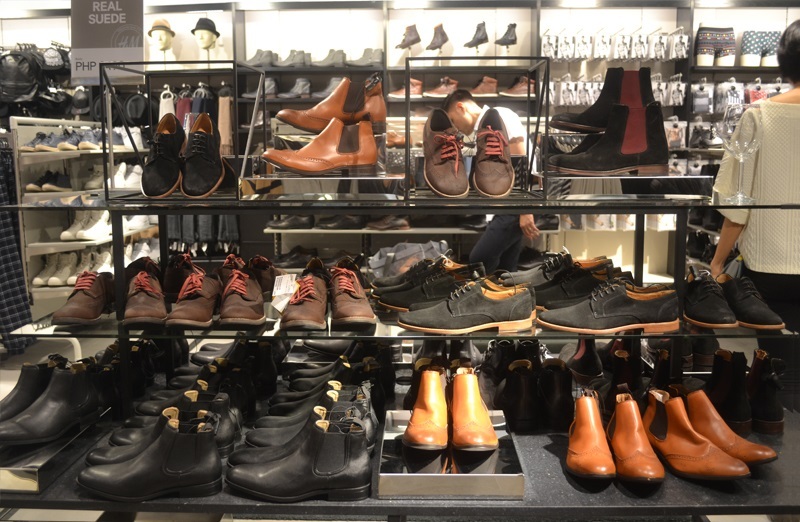 They also have an impressive variety of shoe options for men. Now this is where I took the longest time. 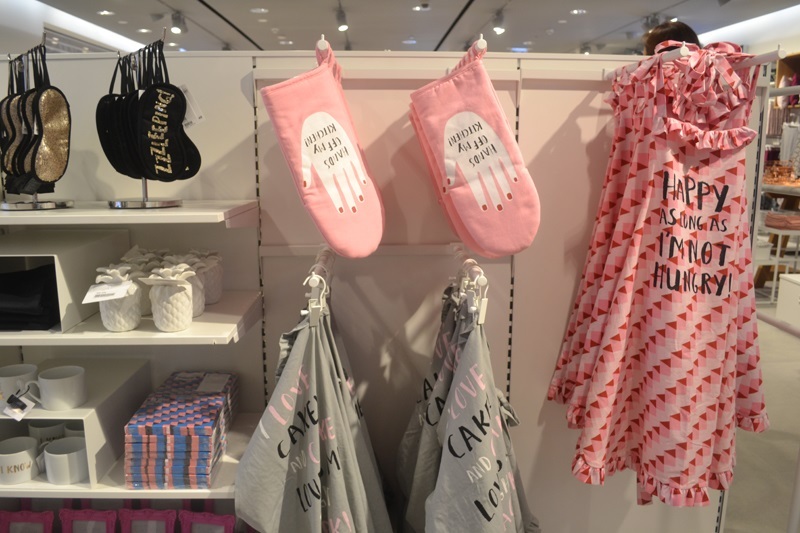 H&M's Home Department is a God-send for people who adore decadence and luxury. One-of-a kind bits and bobs for the house are hard to find that's why I was so pleased they brought their line of Home Accessories here! 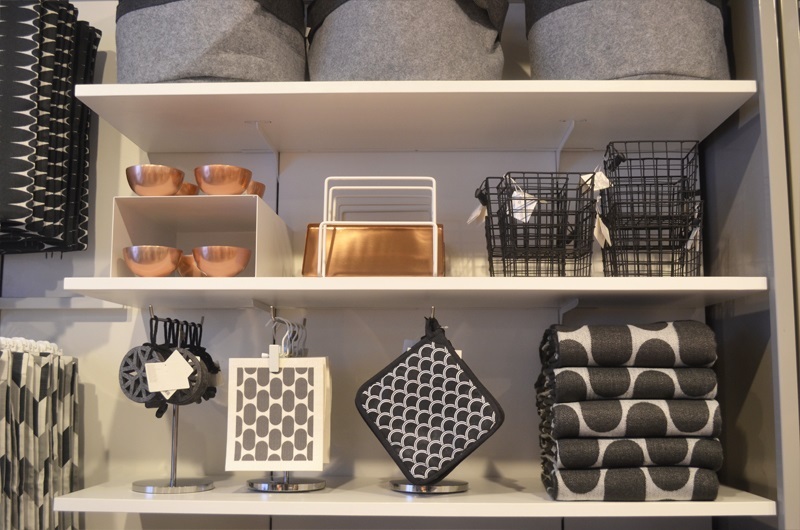 From kitchenware to bedroom accessories and living room decor, all you need to design your space can be found here. These two are the only photos that I took from this department because I was too busy deciding which items to get! Right before heading to the till to pay for my purchases, I stopped by the Kids' Section to look for clothes for my little girl. I picked up the the cutest polka dot corduroy overall dress and the prettiest navy lace shift dress for Lucy to wear on Christmas day. Those shopping during the opening day tomorrow can expect great offers! Gift cards will be handed out to the first 300 people in line: the first person in the queue will receive a P5,000 Gift Card; P2,500 Gift Cards each will be given to the second and third in line; and varying amounts ranging from P300 to P2,000 each for the rest. 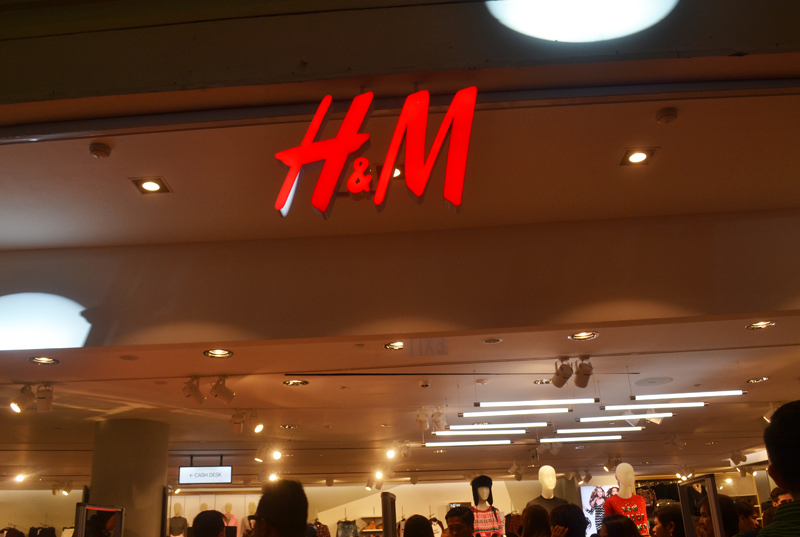 The next 300 people will walk away with special H&M umbrellas and tote bags. 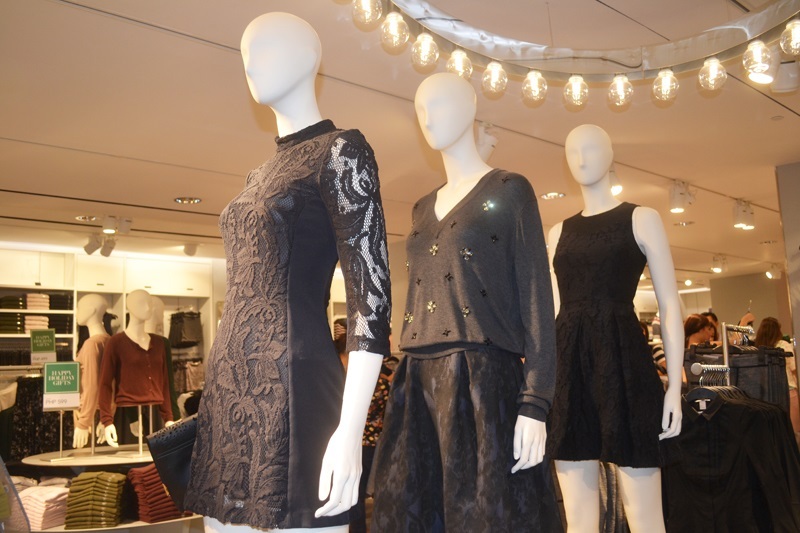 A special treat also awaits stylish shoppers. Five of the most fashionable people spotted in the queue before the opening will be given P2,000 Gift Cards each! As if those offers aren't incentive enough to visit the shop, you can also enjoy holiday deals of up to 50% off on select items! Thank you so much to A~List Events for having me! I had a lovely time shopping at the store!